An end to evil : how to win the war on terror · One Book. One Author. One Hour. 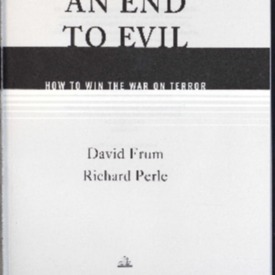 Frum, David, “An end to evil : how to win the war on terror,” One Book. One Author. One Hour., accessed April 24, 2019, http://booknotes.gmu.edu/items/show/645.